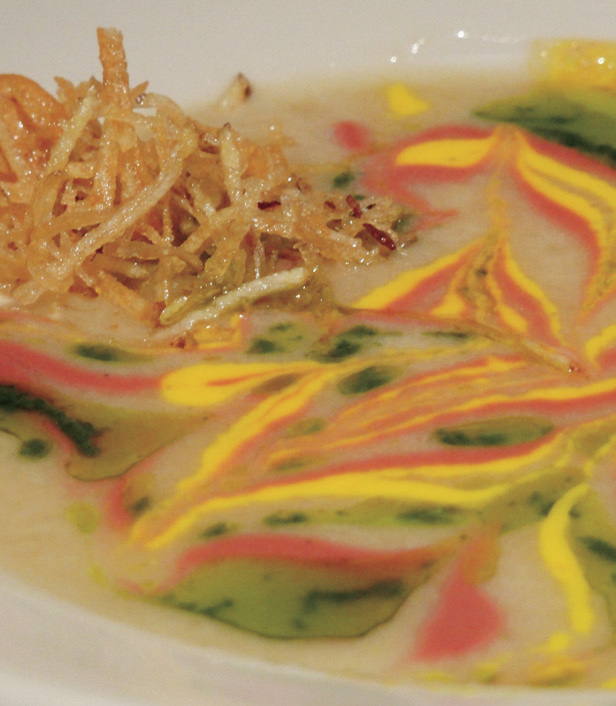 “I'm a firm believer of good portions, the minimalist style is not for me", said Chef Susie Hebert to a very full En Culebra Magazine Staff. "I believe in value, a good meal, a good wine, a good time." And at this point, we can give faith to that. We are sitting around the table at Susie’s Restaurant, where we decided to share different dishes to profile owner Chef Suzanne Hebert. 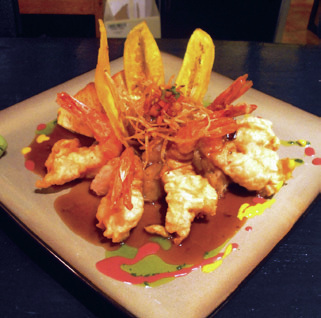 Susie’s is a casual restaurant with a fine-dining flair. Her philosophy, “tropical latitudes cuisine” stems from her theory that "we share many ingredients around the world's Equator, but we don't use them in the same way, and I find that fascinating", she proudly says. Her dishes blend oriental flavors, but always looking for “our twist”, that way she creates her cross-cultured menu that changes seasonally. "When I stepped off the ferry and I looked at the water and I could see the bottom I just fell in love. It was really a turning point in my life and I said, I'm going to stay right here. Life in Culebra is healthier than in the Isla Grande", says Susie. 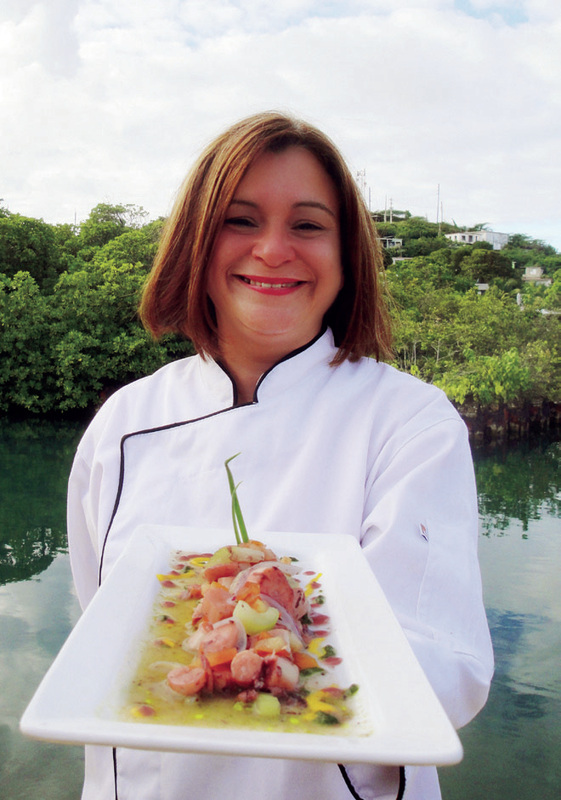 Never having visited Culebra, she was obviously enthralled by Culebra’s natural beauty but also the opportunity to make one of her most cherished dreams come true, opening her restaurant. Susie feels like she’s giving back to Culebra. She employs around 9 people, including her sous chef and right-handman, Ramón Félix Bermúdez, a culebrense who is pursuing his career in the Culinary Arts in Carolina. "He travels every week to study, he's very determined", she says proudly. With all her experience, Susie remains very conscious and down-to-earth. "I don't believe in the 'chef's ego', we're not doing brainsurgery here, in the end I just want to cook you a great meal. I'm a very casual person, what I want to do is give back. I prefer to live my life with my personal values intact, taking care of my cats, fighting for this community and live a fulfilled, serene life. And thank God, Culebra gives me that". On our table we have dishes that we would never imagine, but that go perfectly together, like duck croquettes with sour orange sauce, which feels very Oriental-Cuban, or the yucca and curry cream soup, Puerto Rican-Indian. As many of her colleague-chefs in Culebra, Susie Herbert has earned her stripes on and off the kitchen. With 17 years of restaurants under her chef’s coat, she has worked at the kitchens of renowned hotels such as the Crown Plaza, Caribe Hilton and the Ritz-Carlton Hotel. She knows her way around many disciplines and cooking styles having worked from banquets to “front of the house”, all building-up to her aspiration of opening her own place, which happened right here in Culebra in 2007, appropriately becoming Susie’s Restaurant. "Even though this is a men-driven business, the sensibility and style a woman can bring to the culinary arts, in terms of plate presentation, gives us an edge". Her inclination towards cooking comes from her grandmother, food is something that unites the Puerto Rican family. "I loved watching my grandmother cook, and I started learning and reading every book I could find, spending hours at the bookstores", she says. Hebert earned her degree in New Jersey where she focused in Culinary Arts, restaurant & hotel management.